A British belt buckle with a twist! 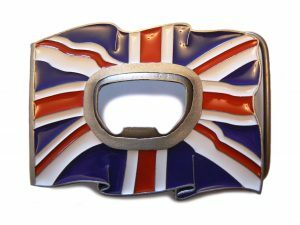 This quality pewter belt buckle featuring a Union Jack can also open your bottle of beer! Practical and fun – all in one, hand-finished in red, white and blue enamel.